Independence Day is one of my favorite holidays. No matter how hard I try, I always tear up during the fireworks show when they blast patriotic music at the end. In my family and my husband’s there are also a ton of July birthdays. 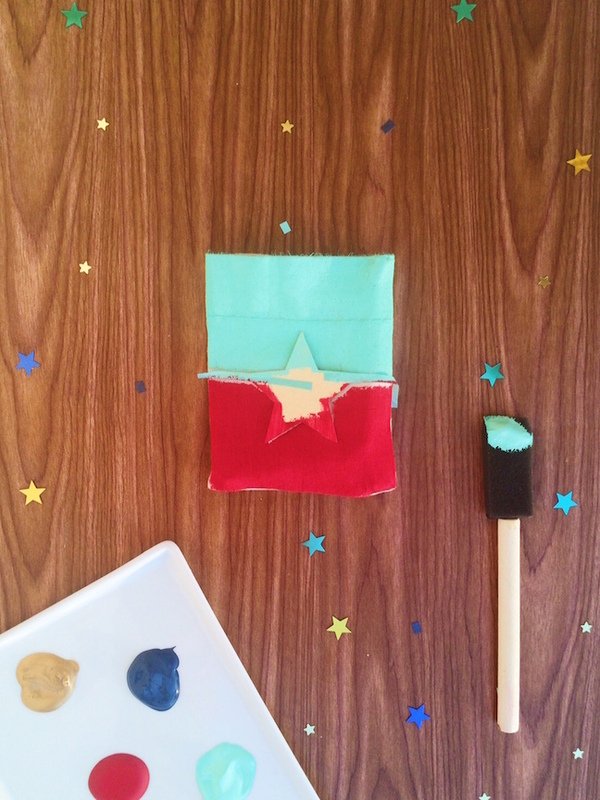 We celebrate with the best of them, and I love these DIY star spangled Fourth of July favor bags. They’re perfect for the Fourth, but not so over-the-top patriotic, so they’re great long after the holiday is over as well. 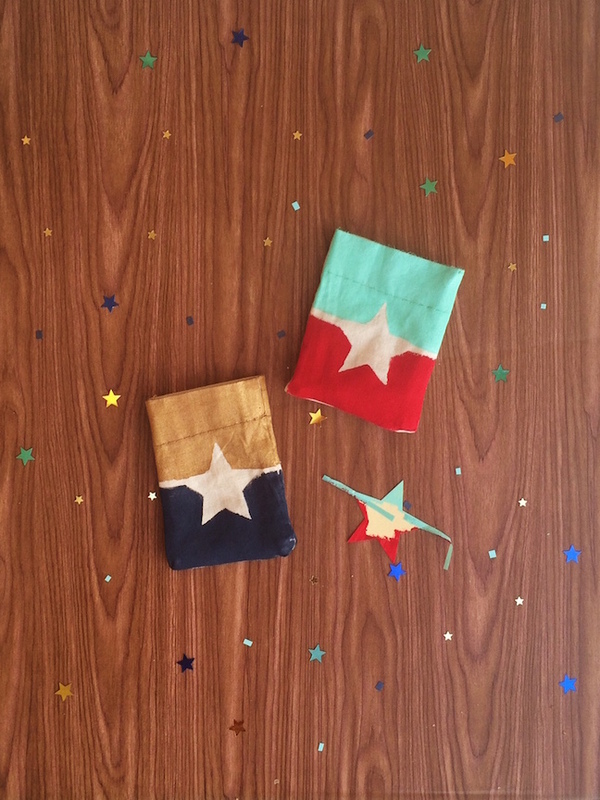 Step 1: Using a craft punch, create several star-shaped scrapbook paper pieces. 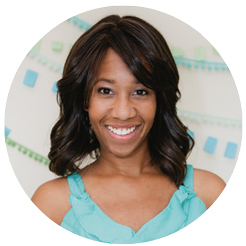 Cut thin strips of washi tape slightly wider than the star’s tips and as long as your bag’s width. Step 2: Align the tape with the star’s two horizontal points, and secure the star to the canvas bag. Step 3: Carefully paint the top half of the bag using a foam brush and acrylic craft paint. Paint in the direction away from the star template to avoid allowing paint to seep underneath the edges of the shape. Select a different color, and repeat the process on the bottom half of the star. Set aside to dry. 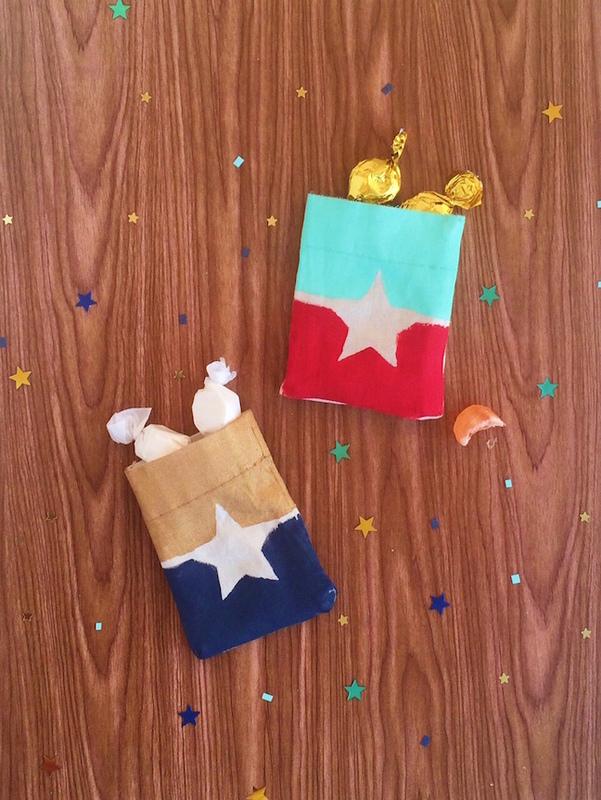 Step 4: Remove the tape and star template from the bag, and fill it with candy, stickers, and other small treats.